The best mushrooms every time & on time. I received my Morels and the were beautiful and fresh! Waiting on the blondes now! 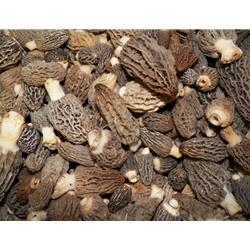 Nothing better than fresh morel mushrooms and Oregon Mushrooms delivers high quality product, on time, exactly as described. awesome! dip them in whipped egg, then flour, the into veg oil to fry (golden brown of course) dry on paper towels eat... and freeze, they are good for 6 months. just nuke 'em and they are like you just cooked them. These were amazing! Super-fresh, just like I'd picked them myself. I got my first batch as a gift and then ordered another 1 lb. box the next week on my own.